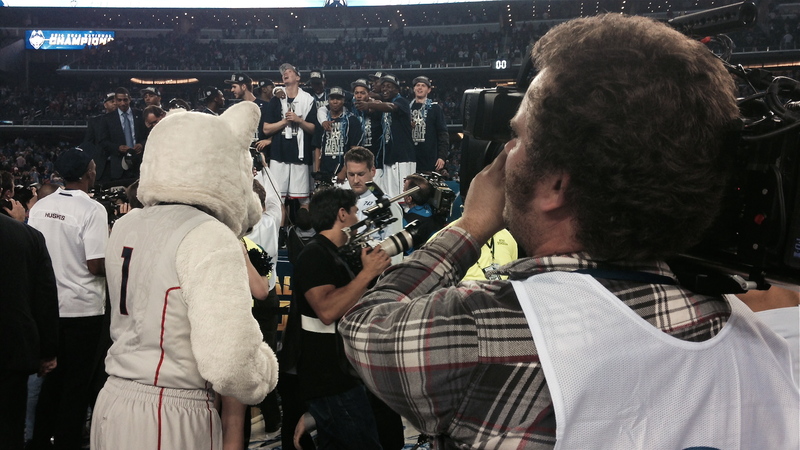 The 2014 NCAA Men’s Basketball Champs, The UCONN Huskies, celebrate at AT&T Stadium. I was so pumped to hear that Dallas would be hosting the NCAA’s Final Four Tournament and National Championship game. It’s been awhile since I’ve covered sports. For the past 7 months I’ve been in Waco, TX working on a new HGTV show called “Fixer Upper.” Now that we’ve wrapped on that project I can get back to the variety of shoots I’m use to. Final Four was the perfect way to “stretch my legs” so to speak. So many lights in such a small place. I love Turner Sports. Theses guys have their act together and they’re a ton of fun to work for. Our first day was spent setting up for interviews with players and coaches. We were given one of the suites at the Dallas Cowboy Stadium. That may sound great but the room was actually pretty small. We spent about 30 minutes just moving furniture out of there so we’d have enough space for gear. Once we had the space it was time for the fun to begin. The set up was two Canon C300s and a 70d on a MYT Slider. 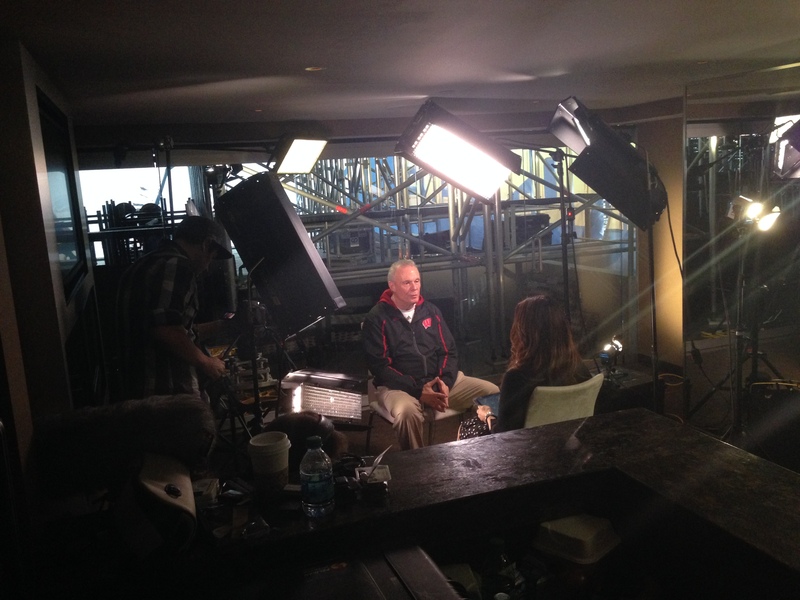 One of the C300s was on our reporter/interviewer, Rachel Nichols of CNN. The other C300 was on the player or coach she was interviewing. The 70d was a secondary shot on the person Rachel was interviewing. I used just about every light in my kit and couple from Joel’s. (He’s our Houston DP. Very talented shooter.) The set up was exhausting but fun. I was pretty pleased with the look we achieved given how challenging the room was. I’ll post some screen grabs below so you can set what the coaches/players shot looked like. 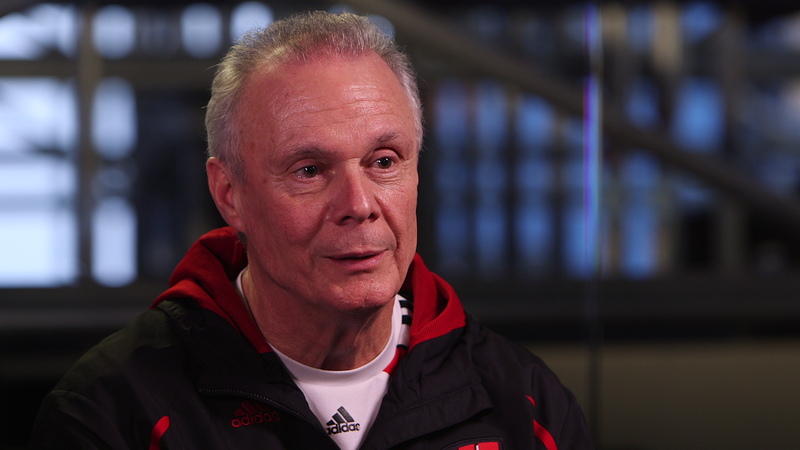 Bo Ryan, coach of the Wisconsin Badgers, sits down with Rachel Nichols. The next day was media day. Joel, Alan (our audio guy), and I spent the whole day waiting for players and coaches to walk into our room. It was really nice having the day before to tweak our lighting setup. All we had to do today was focus on pressing the record button. HA! Another thing worth noting is that we were shooting for NCAA.com, operated by Turner Sports and CNN. 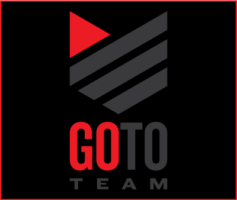 Each client wanted the footage in a different type of format. Turner Sports took the CF cards from the C300 and the SD card from the 70d. However, CNN preferred XDCAM discs. No problem. We can make that happen. We rented two XDCAM disc recorders and hooked them up to the C300s. It was kind of crazy but it worked. I thought they were kind of noisy but my audio guy didn’t seem to mind. Sweet. The next couple of days were spent doing post game interviews, covering press conferences, and shooting behind the scenes footage of the broadcast. The entire week led up to the NCAA Men’s Basketball Championship game. We waited patiently for the game to end. When the game was over we rushed the court to get interviews with players and coaches. I also captured players celebrating the win. It was such a cool experience to be on the court with the winning team as confetti rained down on us. Can’t wait for the next one! 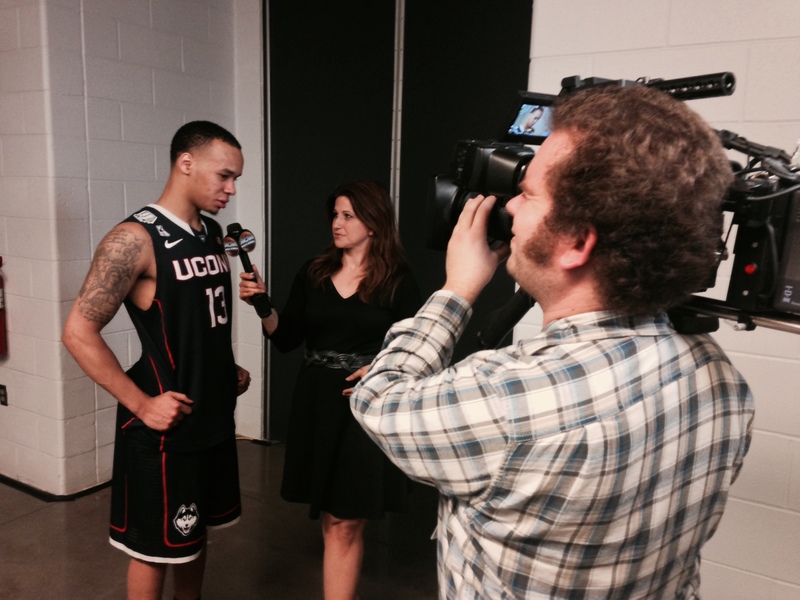 Shooting a post game interview with Shabazz Napier. 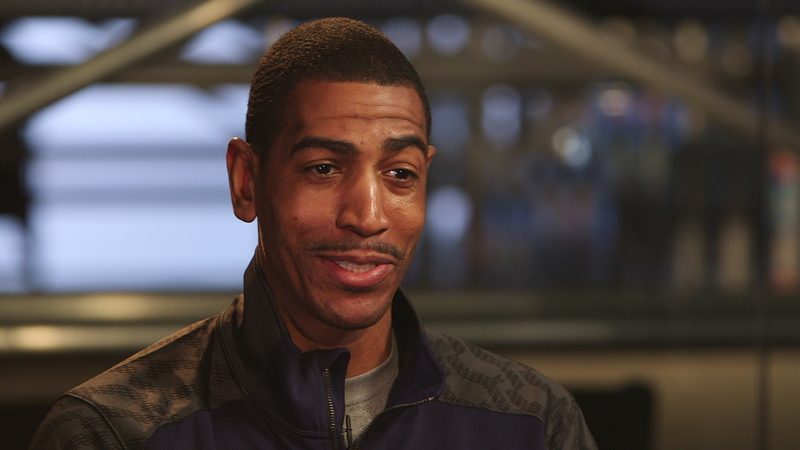 UCONN coach, Kevin Ollie sat down with us too.